The severe climate doesn't make Yakutia worse - but it's definitely better to visit it in summer if you are not used to low temperatures. A vast Eastern republic within Russia, Yakutia (Sakha) boasts endless forests and rivers, harsh winters and warm summers, age-long traditions of its indigenous people, and unrivalled hospitality. The Republic of Yakutia (also named Sakha by its indigenous people) is the largest of Russia’s federal subjects in terms of territory – it’s larger than Argentina. This place is definitely not for the faint of heart, with the temperature falling below -50 °C in winter. 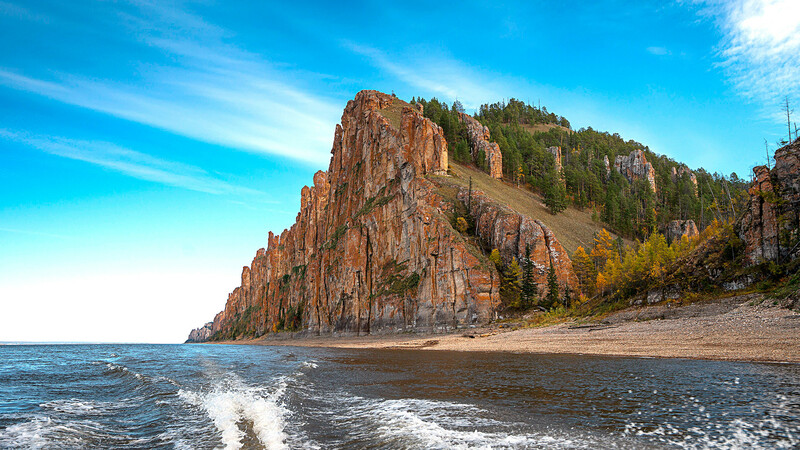 Nevertheless, it doesn’t mean that Yakutia isn’t a warm and welcoming place to visit, especially from May to August when the temperature normally reaches a very pleasant 20 °C. This period is the best time to soak up Yakutia’s stunning landscapes with its rivers (there are about 700,000) and evergreen taiga. A land extremely rich in natural resources, namely diamonds, gold and, of course, wood, Yakutia is not crowded – for such a huge territory, the number of people is quite small: Around 900,000. About a third of them live in the city of Yakutsk – the republic’s capital. Yakutsk and its surrounding area have a lot to offer: Vast space, beautiful nature, and exotic tourist attractions, such as the Permafrost Kingdom in Ust-Kut, an ice palace within a cave. The Sakha people or Yakuts, who live in the republic, outnumber ethnic Russians, but luckily they live peacefully side-by-side. Yakuts combine their traditions and heritage with modern life. “Our cultural life is quite full even in winter, a local photo artist Alexey Vasilyev says: Concerts, new local Yakut films which outsell Hollywood blockbusters in our cinemas…” In this severe climate, the locals definitely know how to enjoy life. If you want to know more about Russia’s Eastern regions, read our special on Kolyma – a remote region which during Stalin's era used to be a giant labor camp.